In the 2012 State of the Union address, you emphasized the need “to do more nation building at home.” Mr. President, there is a lot to do here. The past few weeks, you have been preoccupied with the Ukraine crisis that has already cost us, the taxpayers one billion dollar ($1 billion), the money you promised as loan guarantee to a “not yet functioning government.” Although I am sympathetic to the Ukrainians, the problem they are now confronting is growing pains all nations have gone through. Besides, Ukraine is not in the US Map; it is in Russia’s backyard. At home, the criticism on how you’re handling “The Crisis” does not evoke any sympathy from me; your administration should not have been involved in the first place. Besides the terrible mistake of getting involved in The Crisis, it is naïve to threaten Russia with sanctions, let alone act on them. Mr. President, you do not have to prove to the Republican Party or anybody else for that matter that you are tough and can stand up to Putin. The “bullying approach” the United States has used over several decades to interact with world leaders is no diplomacy; it is very counterproductive. I do not need to lecture you or anyone in your administration that the “Bullying Approach” is at best useless, at worst downright dangerous with Russia which possesses as many war arsenals as the United States. 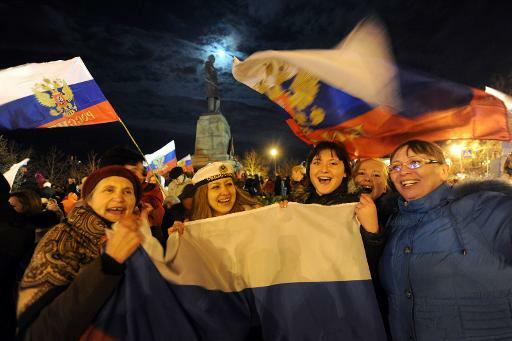 Mr. President, on Sunday, March 16, 2014, the people of Crimea overwhelmingly (96%) voted to rejoin Russia. Mr. President, it’s hard to imagine that 1.9 million people – 96% of 2 million, Crimea population – were held at gunpoint by the Russian Army while journalists from the world over were onsite watching. Mr. President, while you may not like the outcome of the referendum, it is not up to you and your administration. The people of Crimea have spoken; almost unanimously – 96% is a number we may never see here in the United States, as far as people rallying behind a single cause -, they voted to be with Russia. This is not about what the United States wants; it’s what the Crimea population wants. Please, do not try to redefine democracy. The people of Crimea have spoken. That’s what democracy is all about. Mr. President, your administration has all the incentives to let the Ukrainians solve their crisis: 1) Crimea residents spoke with one voice 2) US should stop meddling in other countries’ affairs 3) there is plenty to do here at home.